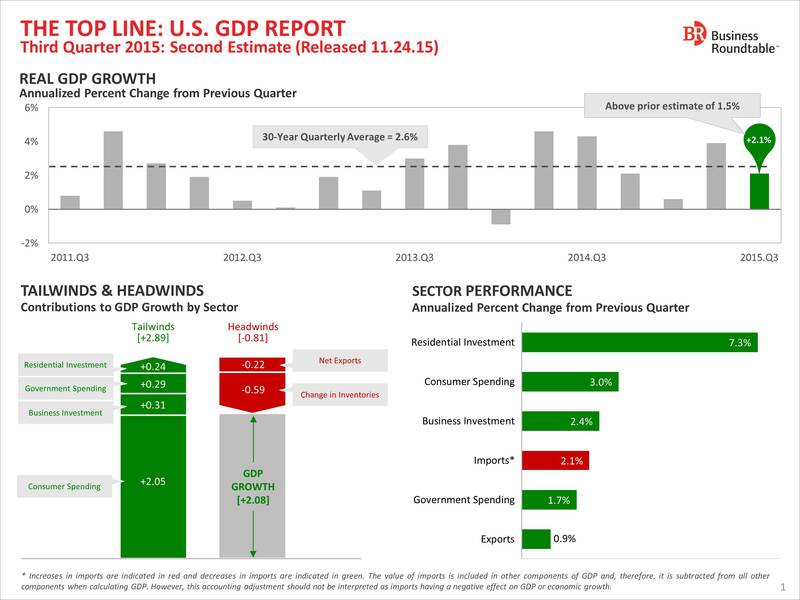 According to the latest GDP estimate from the Bureau of Economic Analysis, the U.S. economy advanced at a 2.1percent clip in Q3 2015, faster than previously estimated but significantly slower than the 3.9 percent growth in Q2. 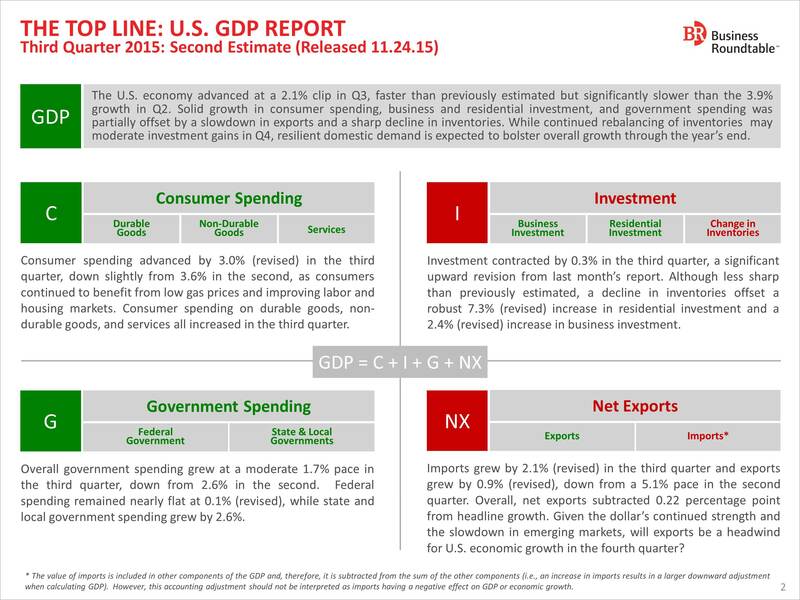 Solid growth in consumer spending, business and residential investment, and government spending was partially offset by a slowdown in exports and a sharp decline in inventories. While continued rebalancing of inventories may moderate investment gains in Q4, resilient domestic demand is expected to bolster overall growth through the year’s end.